Mostly cloudy. Low 52F. Winds WSW at 10 to 20 mph..
Mostly cloudy. Low 52F. Winds WSW at 10 to 20 mph. Gloria Louise Matthews, 71 years of age, passed on Friday December 21, 2018 at Benefis Hospital with her family by her side. There will be a service held in Vaughn at the Vaughn Community Bible Church on January 26, 2019 at 12 PM. Gloria was born February 26th, 1947 in Marshall, Michigan to the late Alfred and Audrey Matthews. She was the oldest of eight children, one preceded her in death. Gloria was educated in the Marshall High School system in Michigan. Before Gloria got married she had one child, then Gloria married Gerald Cameron and three other children were born from this union. Gloria joined the Baptist church in Vaughn. She loved working as a Sunday school teacher, AWANA instructor and helping out in any way possible at the church. She loved praising the Lord, loved to read her bible, praying for and with others, laughing and always wearing a smile on her face. She was a loving and caring person, devoted mother & friend, always thinking of others first. Others always thought of her as a grandma or a mom as well. She was very loved. 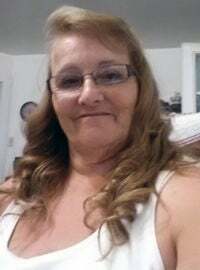 Gloria leaves to cherish her loving memory with her children: Julie Matthews (Plymale), Rochelle Cameron (Coffey), Gerald Cameron & Zorana Cameron (Rohrer); 8 grandchildren, 10 great-grandchildren, and a host of nieces, nephews, cousins and friends. Alongside are her siblings: Fred Matthews, Al Matthews, Patricia Matthews (Pearl), Dianna Matthews (Finan), Emily Matthews (Pickens) & Roger Matthews. Preceding her in death are her parents, Alfred and Audrey Matthews; brother, Robert Matthews.